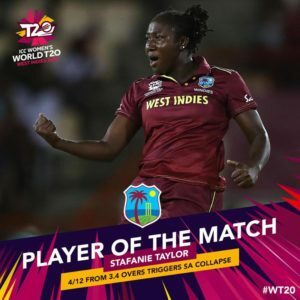 CWI- Stafanie Taylor took four crucial wickets for just 12 runs in another record-breaking performance. 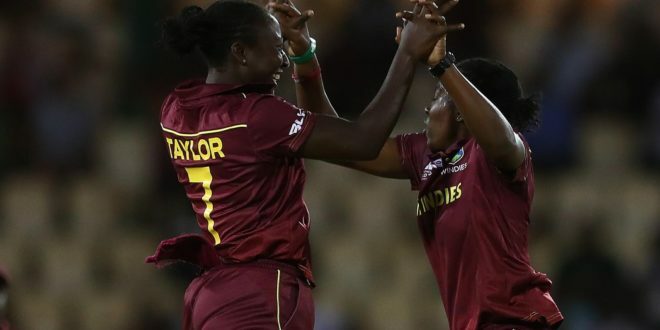 The WINDIES captain again proved she has the ‘ golden arm’ as the defending champions stunned South Africa to record their second win of the ICC Women’s World T20 2018. It was career-best figures for the game’s leading allrounder as she bettered the 3-13 she took against the same opponents in Galle in the 2012 edition of the ICC World T20. It was also the best bowling figures in a T20 in St Lucia. Backed by an “army” of over 4,000 supporters in the stands at the Daren Sammy Cricket Ground, the home side bowled out the Proteas for a meagre 76 off 18.4 overs to win by 31 runs and stay top of Group A. After scoring 106-8 in their opening game against Bangladesh, the WINDIES went just one run better as they were restricted to 107-7 off their 20 overs. But they provided brilliance in the field to compensate for that, the highlight of which was a sensational run out by Deandra Dottin with a direct hit from backward point. 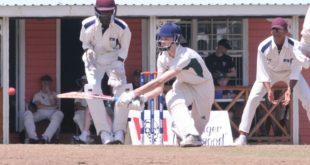 The accounted for captain Dan van Niekerk and was one of three run outs in the South African innings. The visitors were well placed at 41-1 in 10 overs when the Windies brilliance began. Two outstanding pieces of fielding brought the holders back into the game – first, Britney Cooper at the cover boundary hung on to a Lizelle Lee rocket that seemed destined for the maximum. In the next over, Dottin executed a brilliant run out from point, her one-handed pick up and direct hit finding South Africa captain van Neikerk short of her ground. Then Taylor got into the act, and South Africa had slid from 48-1 to 53-4. Needing 49 in the last six overs the Proteas fell apart as Taylor’s off-spin proved hard to combat. She took a wicket in every over she bowled, the third bowling the big hitting Chloe Tryon South Africa’s best bet to counter the rising run-rate. 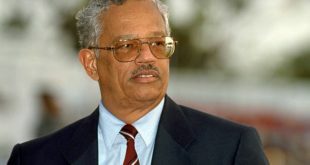 South Africa eventually lost nine wickets for 28 runs (including their last five for just one run) and well short of the target. 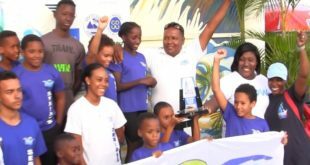 This sparked celebrations in the stands and all around the Caribbean. 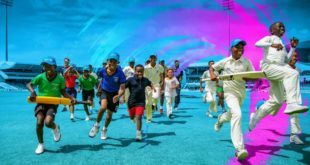 It has now given the home team added momentum going into the next matches against Sri Lanka on Friday night and England on Sunday afternoon.